In a large soup pot, add olive oil and saute carrots, celery and onions over medium-high heat. 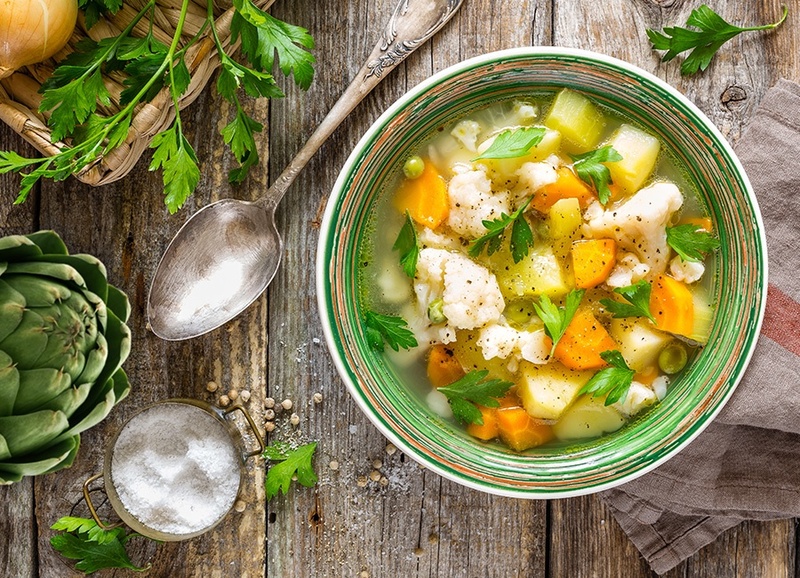 Once vegetables are tender, add potatoes, garlic salt, herb seasoning, herbs of Provence, parsley, chicken broth and artichoke broth. Bring to a simmer and cook until potatoes are fork tender. Once potatoes are tender, add chicken, artichokes and pepper to taste. Continue to heat soup until hot and serve.